Anybody else still feel “So Emotional” after the finale of last season’s Drag Race? With a new All Stars season coming up, we can’t wait to see who throws the most shade on the catwalk. We seriously need our drag fix, and we need it quick! RuPaul and the folks over at VH1 have already announced most of the lineup for this third All Stars entry, but the show will still feature one more mystery queen, the identity of which they have yet to reveal. Who should it be? You decide! 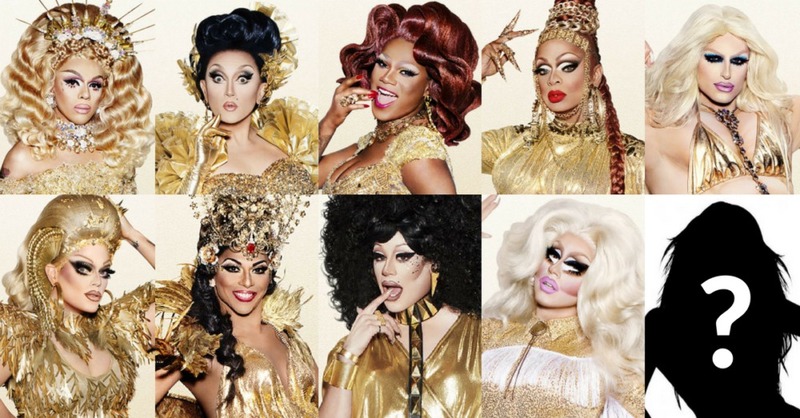 Check out our poll on which drag veteran should return for this third outing of All-Stars. Push your favorites to the top with the up-vote button, and may the best woman win! Um, this isn’t Project Runway all-stars. Can we please not have the winners of RPDR included in this list? Boy are you in for a shock, then…. and that’s is all I have to say bout that. I agree with you for the most part. Its like Simon Cowell’s option of World Idol. Turning winners into losers. But if its Bebe Zahara Benet, then its not such a big deal. Like another poster pointed out, hardly anyone has seen season 1 and she certainly didn’t win that much cash. She deserves a chance to make herself known to the current fan-base. Awwww, how surprising. Another one of Mo Bros GOP troll screenams. Lets see, you always have about 6 of your screenames flip out and go into fake outrage if anything about Melania or Ivanka is mentioned, and yet here you attack a woman in her 70’s who has a real job for her looks. Yep, pretty much business as usual for you. If it’s a cis-woman, I called it. Apparently, it’s Bebe Zahara Benet. RuPaul is giving the S1 winner another chance because no one saw season 1. Could care less. The pop up ads are thoroughly annoying. I have no idea. What is the qualification? Just to have been on the show? Or at least been in the top 3, top 5? I never watch anymore. I’m surprised there aren’t copycat shows. Like after A I, there are a half dozen shows like it now. After ru wins an Emmy, gets a million viewers where are the copycats? WHO CARES? I stopped watching this years ago when it was a show of contestants coming back to talk and a queen spoke up about how the judges critiqued. RuPaul went off on a rant with every other word being f##k. Does a reality show have to have the person who is hateful and mean? How about less drama. No respect for anyone who talks like that to someone and especially in front of an audience.